Add a fancy sparkle to your wordrobe with this gorgeous low platform wedges sandal! 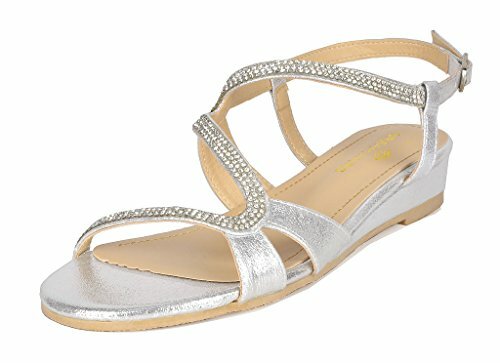 Featuring strap construction with lightly padded insole, and adjustable sling-back strap with buckle closure..
Jewel-embellished, slip-on style with asymmetrical strap detail. Open toe. Adjustable ankle strap with buckle closure.